The load capacity of a flat roof is limited. Due to snow or also heavy rain, this limit is frequently reached without it being noticed. Catastrophic roof collapses are the result. Innovative roof load monitoring protects against potential damage. 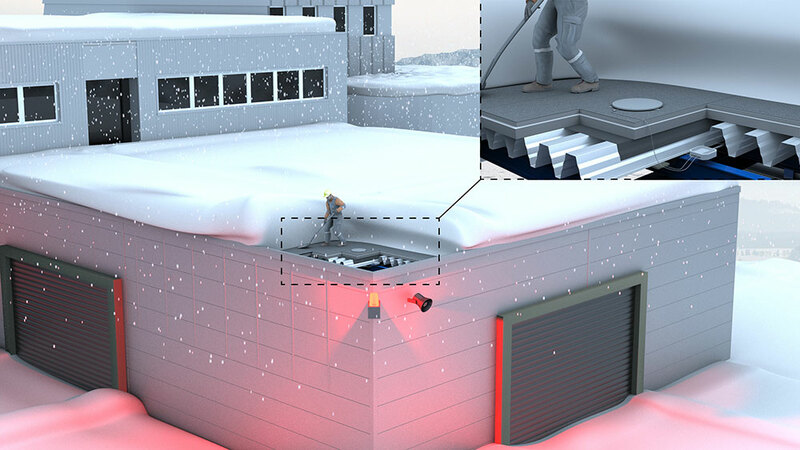 The snow and accumulated water alarm system, SAS-307, is the professional system for the continuous and all year round measurement of the actual roof load. In winter it averts the risk of a too high a snow load and in summer it warns of unnoticed accumulated water which can collect due to heavy rain. Depending on the roof load, two individually adjustable threshold values trigger a pre pre-alarm and eventually an evacuate alarm. The snow and accumulated water alarm system can be quickly and simply installed on a flat roof by a roofing contractor (and possibly an electrician). 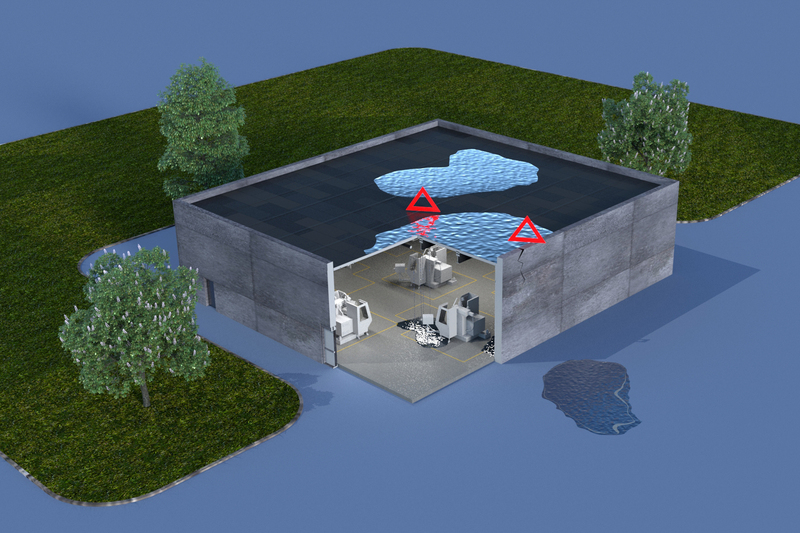 Three monitoring stations are installed on the roof surface at selected and exposed positions. Through this "triple system" there is the three-fold security of also being able to recognize different roof loads. The monitoring stations are fully equipped with electronics and sensors. They have a measurement range of 5 to 750kg/m². The measurement tolerance is 1% of the maximum load capacity. With a diameter of only 50cm and a weight of 10 kg, they are easy to handle. 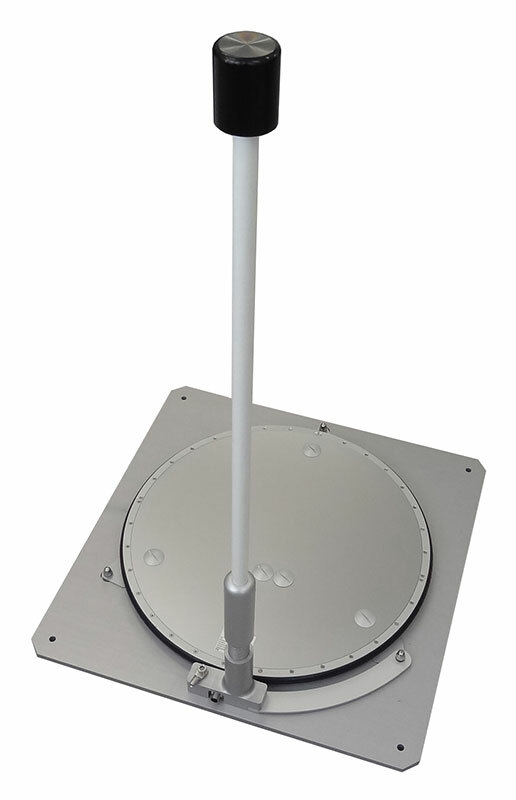 Every monitoring station is equipped with a locating rod which clearly identifies its position, even with a snow-covered roof. 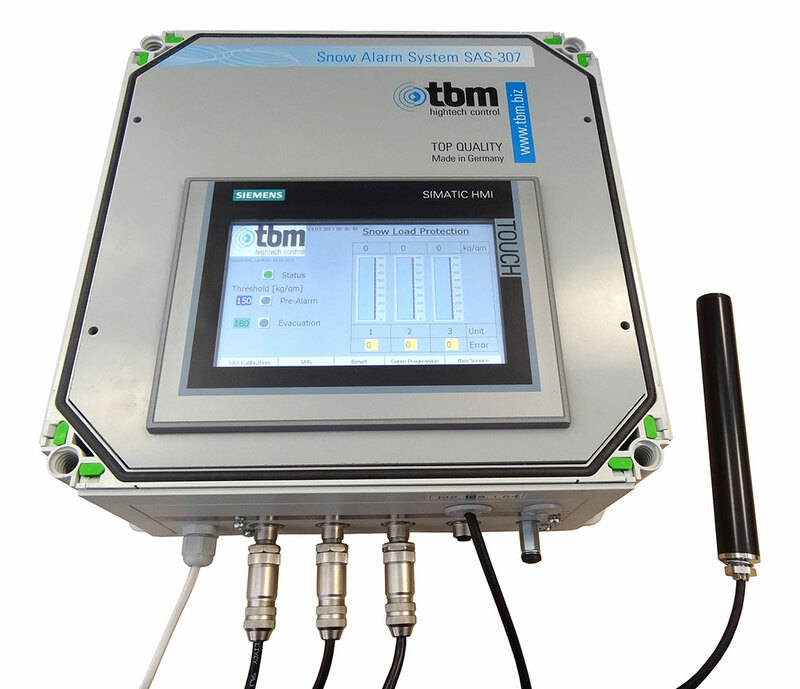 The control cabinet with integrated evaluation electronics is the actual alarm centre of the snow and accumulated water alarm system. The monitoring stations are connected to it. Via the integrated LCD display, the monitoring stations can be set and the load values of the individual monitoring stations read off. Optical / acoustic alarm transmitters can be connected to pluggable switched outputs. Optionally, the control cabinet can also be equipped with an analogue output in order to connect the existing building services systems. The triggering of the alarm can also be done optionally via a GSM modem over which the responsible persons are alertedvia SMS. On request, the control cabinet can also be supplied with remote access via the internet. 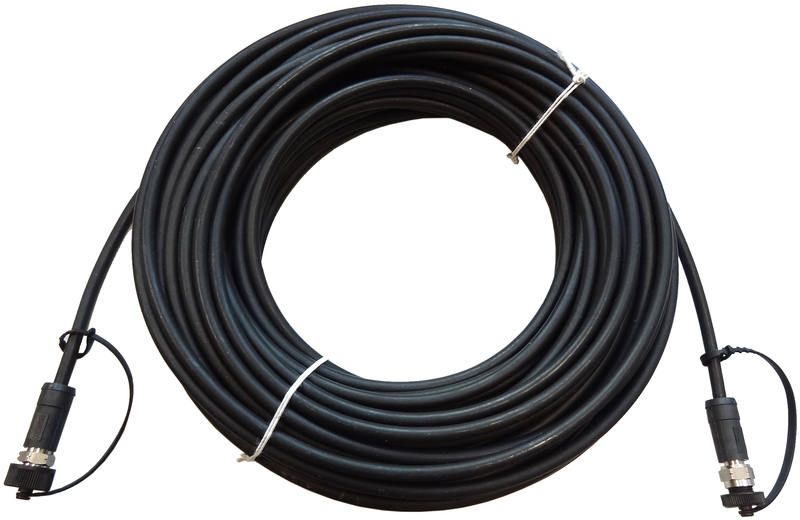 For the simple installation and connection of the monitoring stations to the control cabinet, pre-assembled cables in lengths of 30m, 50m or 100m with plug connectors in IP 68 are available. With this innovative sensor technology we satisfy the highest requirements in the area of property protection. For the preservation of the value of a building, comprehensive roof and building management is necessary. To this end we work hand in hand with the roofing experts of the SLD – Scandinavian Leak Detection. Highly accurate measurement results by means of electrical impulse technology - the SLD Leak Detection measurement system locates even the slightest of sites. Use the cost saving leak measurement methodology, too, for the accurate documentation of all the weak points of your flat roof.